Ayanokouji Kiyotaka is a student of D-class, which is where the school dumps its "inferior" students in order to ridicule them. For a certain reason, Kiyotaka was careless on his entrance examination, and was put in D-class. 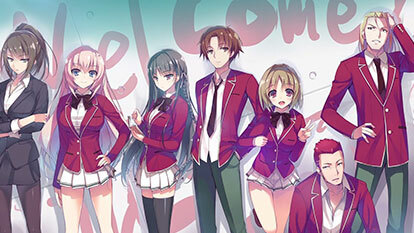 After meeting Horikita Suzune and Kushida Kikyou, two other students in his class, Kiyotaka's situation begins to change.